Come Check Out Our Unbeatable Prices and Specials You Can’t Even Find Online! - SE Pool Supply & Chemical Inc.
Come Check Out Our Unbeatable Prices and Specials You Can’t Even Find Online! If you are like me (and probably almost everyone on the planet), you are always looking for a deal. You prefer to spend your money on what matters most to you, not on overpriced items you are forced to buy. That’s why SE Pools is such a find. 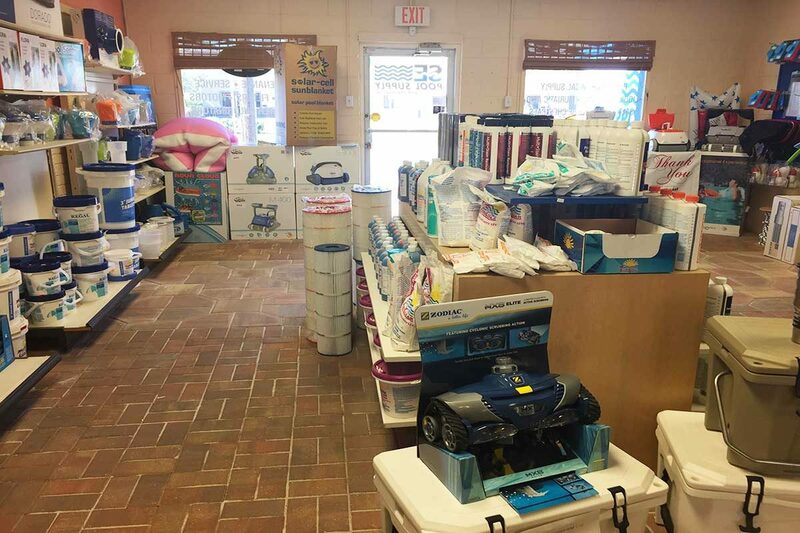 SE Pool and Spa provides a wide variety of professional pool supplies, including chemicals for every budget, vacuums, cleaning supplies, heat pumps, salt chlorine generators, filters, replacement parts, tools, games and more…and they do it very affordably. In fact, you can’t even find prices or specials online like the ones at SE Pools. And wouldn’t you rather purchase locally? That way you never have to worry if you have a question about a product or you want to exchange something. It’s all easy – peasy. It’s nice to shop pool supplies and service with a local company you can trust. SE Pool Supply and Chemical also offers weekly pool service tailored to meet any budget. Our state-of-the-art digital water analysis tests for total chlorine, calcium hardness, total alkalinity, cyanuric acid and, if there is any staining, we can also test for copper and iron. We can balance your pool water, check and clean the filter, brush walls and skim the surface. So, if you’re looking for cost-effective, top of the line pool or spa products and service, check out SE Pool Supply and Chemical. You’ll find professional pool supplies and service at affordable prices and unparalleled customer service. Feel free to come by and browse through our enormous inventory. Our knowledgeable, friendly staff is always on hand to answer any questions you might have. SE Pool and Spa on Dixie Highway in New Smyrna Beach serves New Smyrna Beach and all of Volusia County. Don’t forget to bring in a water sample. We will test it for FREE!